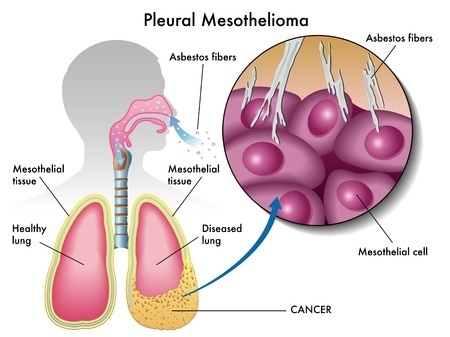 Mesothelioma is a particular form of cancer that forms on the protective lining of many organs in the body. The only strongly linked cause of mesothelioma is asbestos exposure. Due to this, a diagnosis of mesothelioma means that somewhere in the course of a person’s life, he or she was exposed to harmful asbestos. Due to improved public and scientific knowledge about the dangers of asbestos, many sources of asbestos exposure have been removed. However, because the symptoms of mesothelioma may not begin until 20-50 years after exposure, there still remain many cases of mesothelioma in New York today. If you or a family member live in New York and have had the terrible misfortune of receiving a mesothelioma diagnosis, it is important to seek the advice of a lawyer to understand your rights and how you may be compensated for this entirely preventable form of cancer. Certain workplaces in New York City carried higher risk of asbestos exposure than others. These workplaces included shipyards, power plants, breweries, and aircraft manufacturers. Older homes and buildings also contained asbestos. Trades involved in home repair and upkeep also had the potential for significant asbestos exposure, including plumbing, construction work, and electrical work. In many cases, New York employers in these areas may have known about the dangers of asbestos but failed to warn the employees exposed to the risk. People who worked in these trades may develop mesothelioma later in life. Additionally, in New York City, underground pipes containing asbestos sometimes burst or break, spreading the toxic substance to the public. It is important for a person diagnosed with mesothelioma to both receive justice for the wrong and to receive compensation for the injury in order to help pay for expenses and improve quality of life. The right lawyer can help with recovering this compensation. How Can a Mesotheloima Lawyer Help? Mesothelioma lawsuits are very complicated and require hard work to achieve positive results. Since the source of asbestos exposure likely existed far in the past, a good mesothelioma lawyer must diligently seek out companies that are still solvent (still able to pay) or insurance companies that might cover your injuries. 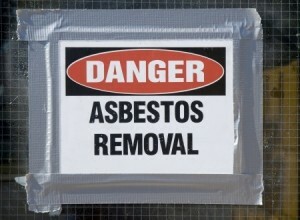 A lawyer will not only help search for employers but also other companies in the asbestos chain, such as manufacturers and the contractors who installed the asbestos. Once a lawsuit begins, a lawyer will conduct discovery with the defendants in order to gather information to support the claim. The defendants will also be able to gather information about your injury. A mesothelioma lawyer can also attempt to negotiate a settlement of your claim or take the case to trial. The decision whether to accept a settlement is up to you. If you or a family member has been diagnosed with mesothelioma, you should seek legal representation.